UPSC Combined Medical Service Examination Admit Card 2018 - UPSC Combined Medical Service Examination 2018 Available – www.upsconline.nic.in. The good news is that union Public Service Commission has declared the result of combined medical service examination 2018 for the examination held on 22nd July 2018. The roll number wise list of candidate who have been qualified for interview personality has been published. For qualified candidates advice to keep their certificate ready which will be measured at the time of interview / document verification in order to check their eligibility by age, education, community and physical disability if applicable. The link is activated and will last up to 22.07.2018. 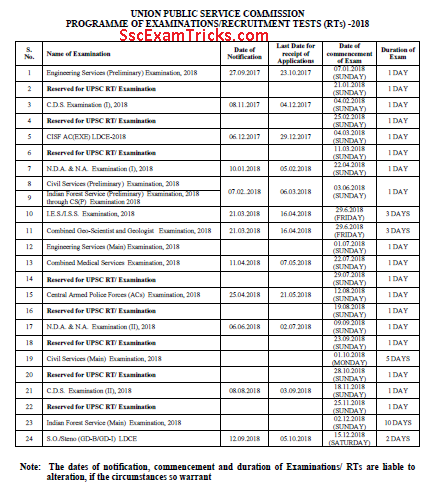 Union Public Service Commission (UPSC) had released notification and invited applications from 11th April to 07th May 2018 for Exam of Combined Medical Service Examination 2018. Many candidates are ready to apply for this recruitment and many others have submitted their online application forms on the official website. The selection process will be made through Exam. 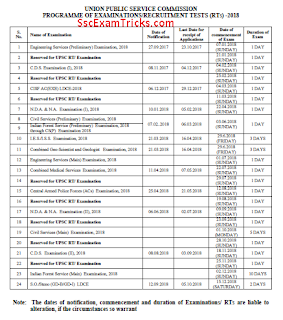 Union Public Service Commission (UPSC) has released admit card on June 2018 for Exam to be held on at for 22th July 2018 various Exam centers for the posts of Combined Medical Service Examination 2018. Those candidates who had applied for these posts and waiting for their UPSC Combined Medical Service Examination 2018 Call letter they can download it from direct link given at the end of the page. · Click on apply application form Link.